The Twitter TV Show Is on Its Way. Who’s Watching? 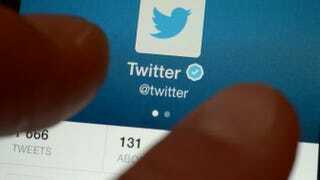 Hacking Twitter, the best-selling book about the social network's meteoric rise to dominance, will be the basis of a new televisions series, Lionsgate announced Wednesday. "There was considerable appetite for the project. According to a source close to the bidding, who wished to remain anonymous because he or she was not authorized to speak with the press, there were multiple offers to adapt the book, with Paramount emerging from the pack as a close second to Lionsgate." We learned all about Facebook's humble beginnings in The Social Network. Perhaps it's true that a TV show about Twitter might garner the same level of interest. I do think, though, considering Twitter's color problem, that they'd do well to recruit some Black Twitter members to join the cast. Can you imagine?